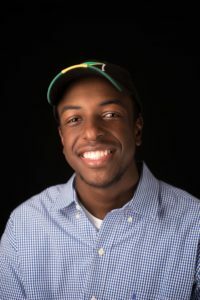 When Jared Oliver recommended me to apply to be the successor of Akiem Bailum and the next sports editor for The Signal, I had mixed emotions. First, I remember how highly Jared spoke of Akiem, so I was honored he believed I could handle the job. On the other hand, I was a bit frightened to carry such a title, because I had to follow in the footprints of Akiem. There was no time to waste before I was thrown into the fire. My first issue was the 2015 football preview, which was 12 pages – written by only two writers – about a team that had won one game in two years. In those first few months, Jared and Jeremy Johnson turned out stories for me like machines, my copy editing skills were nothing less than cringe-worthy. Every week, I made a handful of mistakes and it felt like everyone noticed, but I didn’t quit. I kept going. A few months later, during awards season, I attended every ceremony. I sat and watched everybody else in the state and southeast win except for my section. I let down Akiem and The Signal’s name, but I didn’t quit. I kept going and worked harder. My slowly-growing section improved every week and I’m proud to say that I’m leaving the sports section in a more versatile place than where I found it. The best game I’ve been to during my term was the 2015 football game at Georgia Southern. I’ll never forget the chills I had standing on the sidelines that day. Listening to all of the boos and trash talk the honorable students down in Statesboro blessed the band, team, cheerleaders, and Pounce with. History unfolded before my very eyes as I witnessed the worst home loss in the Eagles’ history and the Panthers clinching a trip to the program’s first-ever bowl game. My favorite interviews were definitely my sit-down Q&A sessions with assistant athletic director Mike Holmes and men’s tennis senior Zack Kennedy. What made the interview with Mike so great was the fact that it was impromptu. The expected story for the week was an interview with Coach Hunter about how different he and the program were perceived a full summer following “The Shot”. Coach Hunter was booked the entire week and I figured that Mike was there the entire time as well, so why not interview him? Getting his perspective on the most impactful moment in the school’s athletic history was pure gold. Having Leah Cotton as my associate editor for a little over half of the 2016 fall semester was the most fun time period. I had a full staff of five reporters who turned in stories on time, every single week – every editor’s dream. The office is one of the things I’ll miss most about my time in college. From jamming out to “Broke Boi,” Slim Jesus and Larry League to having deep conversations about our conspiracies on America, the office was always my home away from home. I remember and sincerely miss Charles Rudison coming into the office as a member of the marketing department. He hated when I said he looked like Atlanta Hawks forward Kent Bazemore. We would go back-and-forth roasting each other and exchanging our views on life. I’m glad I got to see him one last time before he left this earth last August. I’ll miss seeing the marketing manager, Michael Gaither, on a regular basis. Although he never officially wrote in the sports section, he was the member of the editorial board which I connected with the most. Gaither was also one of my co-hosts on the “Blue Bleachers Podcast”. I’ll miss you, the readers. The Panther Family. Every classmate that ran up to me on the sidewalk to tell me they saw my story in the latest issue. Every fan of Georgia State Athletics that acknowledged me with a simple head nod or wave. Every security guard, like ‘Big-E,’ especially. I’ll miss the athletic communications department, the first form of PR I’ve interacted with: The legendary Charlie Taylor and Allison George, the soon-to-be legend Mike Holmes, the ‘jury’s still out on’ newbie Will Owens, the graduate assistants Jordan Manning and Graham Reynolds. I’m sure I’ve messed up with every single one of you at some point in time, but you all didn’t shut me or the section out, so I’m thankful for that. Each and every day I’m proud of every member who’s been a part of my staff. Jeremy Johnson is at the Oconee Enterprise, last summer Jared Oliver had a time slot on national television to talk about sports on HLN, Devone Slappy has been writing for the AJC since January, Leah Cotton works in public relations with the Georgia Aquarium, Woody Bass is now taking classes at his dream school, the University of Florida, D’Mitri Chin is interning with the PGA Junior League, Christian Crittenden is running his own “Average Sports Guy” podcast, and Tobi Adeyemi runs his own “Why Toby” blog, reviewing the latest hip-hop releases and giving his analysis on sports as well. Special thanks to my advisers, editors, and mentors that I’ve had over the past two years. My big brothers at The A-League, Troi Charity, Bryce McNeil, Sebastian Wee, Chris Shattuck, Sheena Roetman, Terence Moore, and Amir Shaw. Thank you all for making me better. I love everybody that was ever created in the world and maybe one day you’ll feel the same joy. With that being said, insert a mic drop right here – Milligan out. Also, if any of you know someone hiring sports journalism people, please tell them to hire me. Georgia State football clinches the first berth to a bowl game in December 2015. R.J. Hunter gets drafted by the Boston Celtics in June 2015. The entire student section in the GSU Sports Arena swagg surfs against Georgia Southern in 2016 and 2017. Robert Davis goes to the NFL Combine. Beach Volleyball team plays in first-ever NCAA Tournament. Turner Field becomes Georgia State Stadium. Trent Miles is fired, Shawn Elliott is hired. Wil Lutz signs with the New Orleans Saints. Albert Wilson scores a 55-yard touchdown against the Falcons in his return to the Georgia Dome with the Kansas City Chiefs. D’Marcus Simonds comes to Georgia State as program’s highest-ever rated high school prospect.